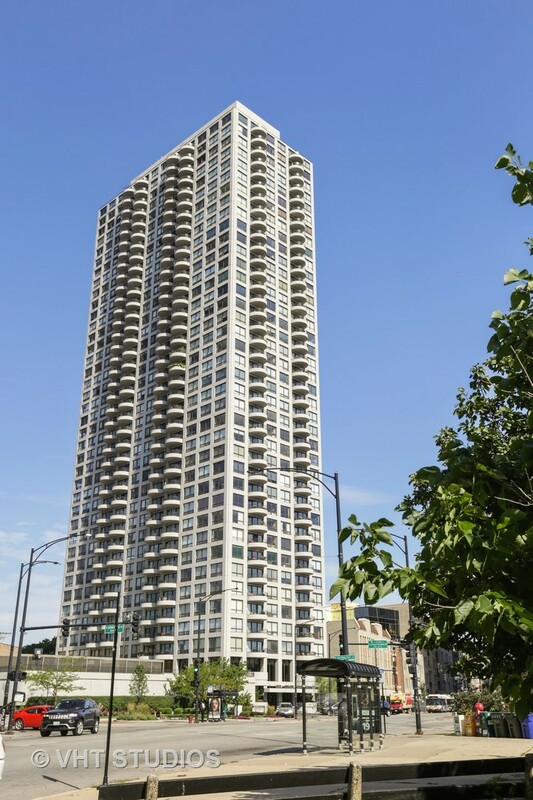 Fabulous, unobstructed panoramic views of the city, lake, park, & zoo from this highly upgraded combined unit in a premier Lincoln Park full amenity building. Elegant foyer leads to an open custom kitchen with Brookhaven cabinetry, soft close drawers, high end stainless appliances, & granite counters with breakfast bar. Mirage wood flooring is throughout the home. The 3 baths feature Brookhaven vanities and built-ins, Kohler sinks and faucets, porcelain tile or stone flooring, marble or granite counters. Master bath has a large walk-in shower and double sink. The gracious master suite has it's own balcony & custom closets by closet works. Family Room can easily be converted to a 3rd bedroom if needed. New HVAC units. Building amenities include 24 hour doorman, fitness center, outdoor pool, tennis courts, party room, library, bike room, attached garage, & so much more. Great unit in a financially sound building walking distance to the park, lake, and all the neighborhood has to offer. Property information last modified by seller on Tuesday, September 04, 2018, 04:29 PM CDT. Information Deemed Reliable But Not Guaranteed. Unauthorized duplication, use, or linkage is prohibited. The information on this web site is for personal, non-commercial use and may not be used for any purpose other than to identify prospective properties consumers may be interested in purchasing. Monthly Payment Calculator results are for illustrative purposes only, not a financing opportunity; calculations assume a 30-year fixed-rate mortgage and do not include closing and other costs. Property Tax on NEW properties is estimated at 1.5% of Listing Price for payment calculation purposes; actual value may be higher or lower.